Juni (not a typo, it’s in German) | Team Effort! JUNE! You, my friend, were a good one. In June I went to Germany. 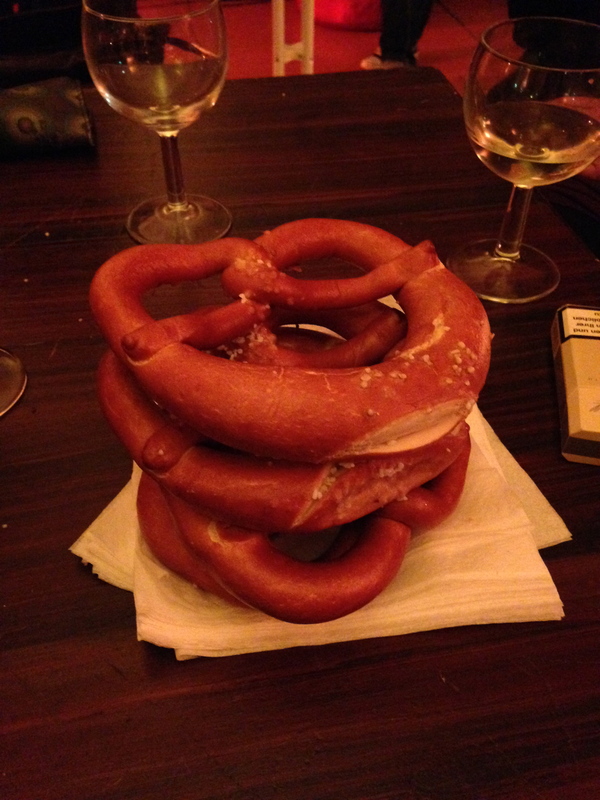 One of my top 3 favourite countries – I pure love a pretzel. I applied (and was accepted) to be on the Forum of Young European Playwrights. Which meant I was in a small German town of Wiesbaden for 10 days. 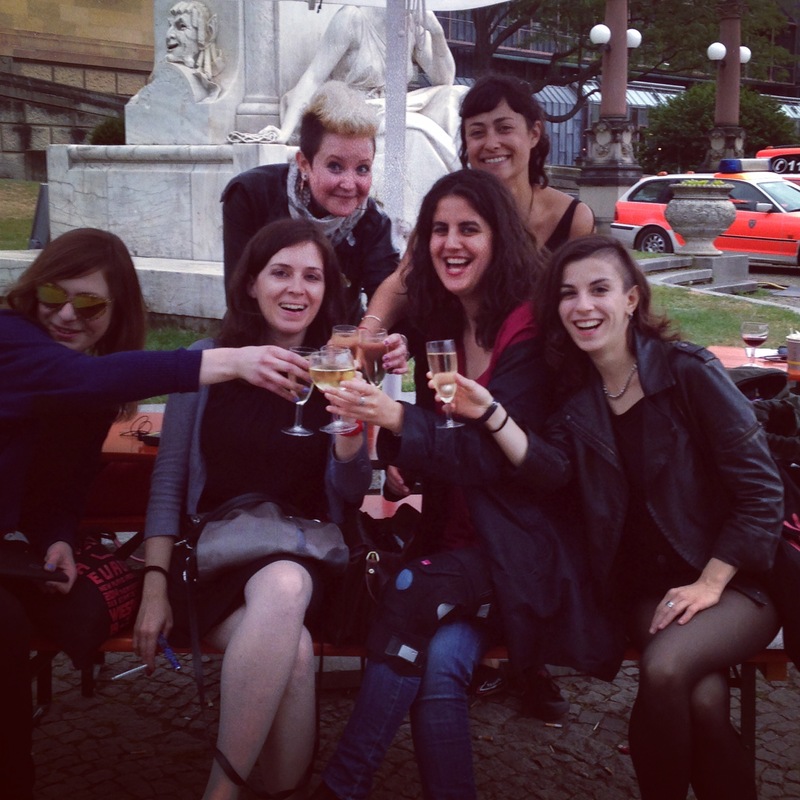 During the day we attended a workshops and in the evening we saw plays from across Europe. It was truly empowering and supportive experience. We were 10 playwrights with nothing in common except we were all under the stage of 35 and lived in all corners of Europe and it turns out that is a great foundation for a friendship. It wasn’t competitive, it wasn’t bitchy, it was pitch perfect and full of laughter. I learnt a lot about my own work as well as the work that’s happening across Europe and maybe for the first time ever (maybe) I felt proud to be part of Europe. It’s not that I didn’t feel proud before, it’s just I’d never really thought about it. But I love that I can be in Paris, Berlin, Zagrab, Budapest in just a few hours. There is a big world of work out there, it doesn’t start and it doesn’t end with Glasgow – thought it is a good place to start and end. And it’s nice to be reminded of that when my feet feel itchy. June also brought a dear friend of mine from Banff (remember that place?) to Glasgow. Jennifer Norman who is a bundle of talent and warmth and intelligence came to visit us. We laughed, we thought, we shared secrets and fears and dreams and drank wine. The world felt smaller when she was here, in the best possible way. She took a risk in many ways but coming here and I’m thankful that she did. I’d like to see more of her in my life time. I think it will a friendship that rises above timezones.